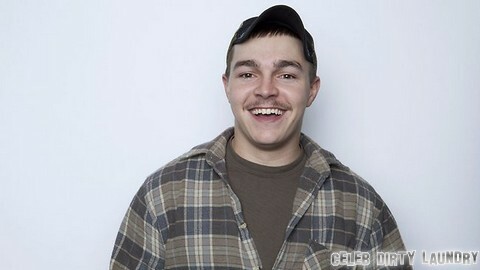 Was Buckwild’s Shain Gandee Killed – Carbon Monoxide Poisoning, Murder, Foul Play, Drug Dealing? Was Shain Gandee murdered – was the young man a victim of the foul play and violence that surrounds drug dealing? I don’t pretend to know a whole lot about everything but when three people are found dead in a vehicle off-road it’s likely no mere accident. We just learned a little while ago that it’s a sad ending for MTV’s Buckwild star, Shain Gandee. He and two others were found dead in a vehicle in West Virginia just shortly after police issued a press release announcing that he had officially been reported missing. According to the Kanawha County Sheriff’s Office in West Virginia the reality star and his uncle, David Gandee were last seen at a Sissonville bar where they told people that they planned on going four-wheeling. They didn’t give anyone at the bar any details on where they were planning to ride and they hadn’t been seen or heard from since then. Obviously, the two of them weren’t going anywhere alone because a third person was found dead with them. Let’s be real, they are rednecks smack in the middle of nowhere. Perhaps it was a drug deal gone bad or somebody had a bone to pick with one of these guys and everyone was killed in the crossfire. Before you start to think that I should be looking for a kinder conclusion, let me point out that police only confirmed that their bodies were found. There were no details released at all. If there was the possibility of them being involved in an accident of some sort then we’d already have been told that in order to avoid this sort of speculation. They aren’t preventing it because it’s warranted. Do you think that Buckwild will film another season or should MTV perhaps quit while they’re ahead? Already Buckwild has been scandalized by the arrest for drug dealing of Salwa Amin, who is featured on the show. The alleged oxycodone and heroin trafficker was busted in a drug raid recently and has since been re-arrested. The venal producers of Buckwild may offer money and fame to these young kids but the other side of that seems that their lives to just unravel horribly. The producers of reality shows like the Teen Mom franchise and Buckwild seem to hope for their stars to screw up and aid and abet them in doing so. These parasites frankly appear to encourage the show’s participants to spiral out of control by giving them serious disposable income without any basis to help them get their lives under control. Ratings are all these leeches care about – this type of reality TV should be banned. It’s no better than dog fighting. What do you think? Is it okay to give people already on the edge that helpful push over with fame and plenty of cash? Meet Salwa Amin: ‘Buckwild’ Drug Dealing Star Busted, Cuffed, Thrown in Jail! Bethenny Frankel Feuding With Andy Cohen, Snubbed Him On Her Show!